Nondestructive testing or Non-destructive testing (NDT) is a wide group of analysis techniques used in science and industry to evaluate the properties of a material, component or system without causing damage. The terms Nondestructive examination (NDE), Nondestructive inspection (NDI), and Nondestructive evaluation (NDE) are also commonly used to describe this technology. Because NDT does not permanently alter the article being inspected, it is a highly valuable technique that can save both money and time in product evaluation, troubleshooting, and research. Common NDT methods include ultrasonic, magnetic-particle, liquid penetrant, radiographic, remote visual inspection (RVI), eddy-current testing, and low coherence interferometry. NDT is commonly used in forensic engineering, mechanical engineering, petroleum engineering, electrical engineering, civil engineering, systems engineering, aeronautical engineering, medicine, and art. NDT methods may rely upon use of electromagnetic radiation, sound, and inherent properties of materials to examine samples. This includes some kinds of microscopy to examine external surfaces in detail, although sample preparation techniques for metallography, optical microscopy and electron microscopy are generally destructive as the surfaces must be made smooth through polishing or the sample must be electron transparent in thickness. The inside of a sample can be examined with penetrating radiation, such as X-rays, neutrons or terahertz radiation. Sound waves are utilized in the case of ultrasonic testing. Contrast between a defect and the bulk of the sample may be enhanced for visual examination by the unaided eye by using liquids to penetrate fatigue cracks. One method (liquid penetrant testing) involves using dyes, fluorescent or non-fluorescent, in fluids for non-magnetic materials, usually metals. Another commonly used NDT method used on ferrous materials involves the application of fine iron particles (either liquid or dry dust) that are applied to a part while it is in an externally magnetized state (magnetic-particle testing). The particles will be attracted to leakage fields within the test object, and form on the objects surface. Magnetic particle testing can reveal surface & some sub-surface defects within the part. Thermoelectric effect (or use of the Seebeck effect) uses thermal properties of an alloy to quickly and easily characterize many alloys. The chemical test, or chemical spot test method, utilizes application of sensitive chemicals that can indicate the presence of individual alloying elements. Electrochemical methods, such as electrochemical fatigue crack sensors, utilize the tendency of metal structural material to oxidize readily in order to detect progressive damage. Analyzing and documenting a non-destructive failure mode can also be accomplished using a high-speed camera recording continuously (movie-loop) until the failure is detected. Detecting the failure can be accomplished using a sound detector or stress gauge which produces a signal to trigger the high-speed camera. These high-speed cameras have advanced recording modes to capture some non-destructive failures. After the failure the high-speed camera will stop recording. The capture images can be played back in slow motion showing precisely what happen before, during and after the non-destructive event, image by image. As a system, the human body is difficult to model as a complete transfer function. Elements of the body, however, such as bones or molecules, have a known response to certain radiographic inputs, such as x-rays or magnetic resonance. 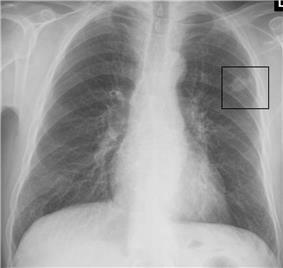 Coupled with the controlled introduction of a known element, such as digested barium, radiography can be used to image parts or functions of the body by measuring and interpreting the response to the radiographic input. In this manner, many bone fractures and diseases may be detected and localized in preparation for treatment. X-rays may also be used to examine the interior of mechanical systems in manufacturing using NDT techniques, as well. 1854 Hartford, Connecticut: a boiler at the Fales and Gray Car works explodes, killing 21 people and seriously injuring 50. Within a decade, the State of Connecticut passes a law requiring annual inspection (in this case visual) of boilers. 1880 - 1920 The "Oil and Whiting" method of crack detection is used in the railroad industry to find cracks in heavy steel parts. (A part is soaked in thinned oil, then painted with a white coating that dries to a powder. Oil seeping out from cracks turns the white powder brown, allowing the cracks to be detected.) This was the precursor to modern liquid penetrant tests. 1895 Wilhelm Conrad Röntgen discovers what are now known as X-rays. In his first paper he discusses the possibility of flaw detection. 1920 Dr. H. H. Lester begins development of industrial radiography for metals. 1924 — Lester uses radiography to examine castings to be installed in a Boston Edison Company steam pressure power plant. 1926 The first electromagnetic eddy current instrument is available to measure material thicknesses. 1927 - 1928 Magnetic induction system to detect flaws in railroad track developed by Dr. Elmer Sperry and H.C. Drake. 1930s Robert F. Mehl demonstrates radiographic imaging using gamma radiation from Radium, which can examine thicker components than the low-energy X-ray machines available at the time. 1935 - 1940s Eddy current instruments developed (H.C. Knerr, C. Farrow, Theo Zuschlag, and Fr. F. Foerster). 1940 - 1944 Ultrasonic test method developed in USA by Dr. Floyd Firestone, who applies for a U.S. invention patent for same on May 27, 1940 and is issued the U.S. patent as grant no. 2,280,226 on April 21, 1942. Extracts from the first two paragraphs of this seminal patent for a nondestructive testing method succinctly describe the basics of ultrasonic testing. "My invention pertains to a device for detecting the presence of inhomogeneities of density or elasticity in materials. For instance if a casting has a hole or a crack within it, my device allows the presence of the flaw to be detected and its position located, even though the flaw lies entirely within the casting and no portion of it extends out to the surface. ... The general principle of my device consists of sending high frequency vibrations into the part to be inspected, and the determination of the time intervals of arrival of the direct and reflected vibrations at one or more stations on the surface of the part." 1946 First neutron radiographs produced by Peters. 1950 The Schmidt Hammer (also known as "Swiss Hammer") is invented. The instrument uses the world’s first patented non-destructive testing method for concrete. 1950 J. Kaiser introduces acoustic emission as an NDT method. Certification: "Procedure, used by the certification body to confirm that the qualification requirements for a method, level and sector have been fulfilled, leading to the issuing of a certificate". Qualification: "Demonstration of physical attributes, knowledge, skill, training and experience required to properly perform NDT tasks". Employer Based Certification: Under this concept the employer compiles their own Written Practice. The written practice defines the responsibilities of each level of certification, as implemented by the company, and describes the training, experience and examination requirements for each level of certification. In industrial sectors the written practices are usually based on recommended practice SNT-TC-1A of the American Society for Nondestructive Testing. ANSI standard CP-189 outlines requirements for any written practice that conforms to the standard. For aviation, space, and defense (ASD) applications NAS 410 sets further requirements for NDT personnel, and is published by AIA - Aerospace Industries Association, which is made up of US aerospace airframe and powerplant manufacturers. This is the basis document for EN 4179 and other (USA) NIST-recognized aerospace standards for the Qualification and Certification (employer-based) of Nondestructive Testing personnel. NAS 410 also sets the requirements also for "National NDT Boards", which allow and proscribe personal certification schemes. NAS 410 allows ASNT Certification as a portion of the qualifications needed for ASD certification. Central certification is more widely used in the European Union, where certifications are issued by Pressure Equipment Directive (97/23/EC) actually enforces central personnel certification for the initial testing of steam boilers and some categories of pressure vessels and piping. European Standards harmonized with this directive specify personnel certification to EN 473. Certifications issued by a national NDT society which is a member of the European Federation of NDT (EFNDT) are mutually acceptable by the other member societies  under a multilateral recognition agreement. A flaw that is rejectable — i.e. does not meet acceptance criteria. Defects are generally removed or repaired. Non-destructive test typically comprising a penetrant, a method of excess removal and a developer to produce a visible indication of surface-breaking discontinuities. Probability of detection (POD) tests are a standard way to evaluate a nondestructive testing technique in a given set of circumstances, for example "What is the POD of lack of fusion flaws in pipe welds using manual ultrasonic testing?" The POD will usually increase with flaw size. A common error in POD tests is to assume that the percentage of flaws detected is the POD, whereas the percentage of flaws detected is merely the first step in the analysis. Since the number of flaws tested is necessarily a limited number (non-infinite), statistical methods must be used to determine the POD for all possible defects, beyond the limited number tested. Another common error in POD tests is to define the statistical sampling units (test items) as flaws, whereas a true sampling unit is an item that may or may not contain a flaw. Guidelines for correct application of statistical methods to POD tests can be found in ASTM E2862 Standard Practice for Probability of Detection Analysis for Hit/Miss Data and MIL-HDBK-1823A Nondestructive Evaluation System Reliability Assessment, from the U.S. Department of Defense Handbook. ^ a b c Cartz, Louis (1995). Nondestructive Testing. A S M International. ^ Charles Hellier (2003). Handbook of Nondestructive Evaluation. McGraw-Hill. p. 1.1. ^ Dufour, M. L.; Lamouche, G.; Detalle, V.; Gauthier, B.; Sammut, P. (April 2005). "Low-Coherence Interferometry, an Advanced Technique for Optical Metrology in Industry". ^ Losert, Robert. (March 31, 2009). "Solution for NDT Inspection". NDT Magazine. Retrieved December 15, 2010. ^ Bridges, Andrew. "High Speed Cameras for Non-Destructive Testing". NASA TechBriefs. Retrieved 1 November 2013. ^ Blitz, Jack; G. Simpson (1991). Ultrasonic Methods of Non-Destructive Testing. Springer-Verlag New York, LLC. ^ Waldmann, T. (2014). "A Mechanical Aging Mechanism in Lithium-Ion Batteries". Journal of The Electrochemical Society 161: A1742. ^ "ICNDT Guide to Qualification and Certification of Personnel for NDT" (PDF). International Committee for NDT. 2012. ^ John Thompson (November 2006). Global review of qualification and certification of personnel for NDT and condition monitoring. 12th A-PCNDT 2006 – Asia-Pacific Conference on NDT. Auckland, New Zealand. ^ Charles Hellier (2003). Handbook of Nondestructive Evaluation. McGraw-Hill. p. 1.25. ^ Charles Hellier (2003). Handbook of Nondestructive Evaluation. McGraw-Hill. p. 1.26. ^ The relevant national standard for Canada is CAN/CGSB-48.9712-2006 "Qualification and Certification of Non-Destructive Testing Personnel. ", which complies with the requirements of ISO 9712:2005 and EN 473:2000. ^ Charles Hellier (2003). Handbook of Nondestructive Evaluation. McGraw-Hill. p. 1.27. ^ AIA-NAS-410: "Aerospace Industries Association, National Aerospace Standard, NAS Certification and Qualification of Nondestructive Test Personnel"
^ T. Oldberg and R. Christensen (1999). "Erratic Measure" 4 (5). NDT.net. ^ T. Oldberg (2005). "An Ethical Problem in the Statistics of Defect Detection Test Reliability" 10 (5). NDT.net. Charles Hellier (2003). Handbook of Nondestructive Evaluation. McGraw-Hill.